The website is one of the most important internet tools an independent artist can wield. This tool connects artists to their communities and deepens that connection by enabling communication between artist and audience. Websites allow artists and their work, voice, and vision to operate in the world even when the artist is not physically present. Websites are not just databases — they tell stories and collect documentation and ephemera. Last week, we put out a call for artist websites to those on our weekly mailing list and received a gushing response of folks sharing their websites, their experiences with our resources, and their general struggles as independent artists today. 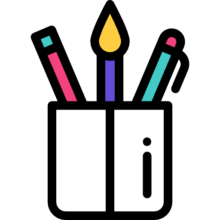 We've decided to publish them here so artists in our community can get to know one another's work, draw inspiration from each other, and connect further. We will be updating this page in the coming months to continue including the websites of more artists in our community, but for now, it is my pleasure to share with you the first installment of our artist website roundup. Alexander Chamorro is an artist in Upstate New York. Amara Brady is an actor, playwright, and theatre maker based in New York City. Anthony C. is a multimedia artist based in South Florida. Antonio Garza Zertuche is a Mexican artist based in Los Angeles, CA. Alfonso de Anda is a Mexican illustrator based in New York. Andie Lerner is a theater artist / collaborator / maker based in New York. Abe Lincoln Jr. is a street artist. Angela Mary Vaz is an illustrator and blogger currently living in Bangalore. Alex Parrish is an actor, composer, teacher based in New York City. Anna Sirota is a fine art photographer specializing in dark, ethereal imagery and is based in New York. Alexis Smithers is a queer black creator based on the East Coast. Annie Wong hand crafts short form videos, GIFs, and stop motion content for the digital world and is based in Oakland, CA. Anubis is a printmaker and art student based in San Francisco. Carol-Anne McFarlane is a conceptual artist based in Florida and New York. Carol Boruta makes mostly mosaics using stained glass, vitreous tile, smalti and millefiori and is based in Plainfield, IL. Coco Corral is a metalsmith and artist based in Maine. Caroline Nevin is a contemporary Canadian artist who creates alchemy inspired fine art. C.Nick is a young artist who specializes in oil painting and drawing. She is based in Southern California. Ciera Tague is a graphic designer located in Portland, Oregon. Darragh Dandurand is a multi-disciplinary multimedia maven based in Brooklyn. Dawn Leas is a poet, writer and writing coach based in Wilkes-Barre, PA.
Devin Greenwood is a New York City-based recording artist, filmmaker and musician. Diane Hollis is a creative artist who mainly works with mixed media. EJ Landsman's work ranges in scope and style from detailed scientific illustration to hand embroidery. They are based in Seattle, WA. Elissa Carmona is a singer and founder of Morrisania Band Project, an award-winning R&B soul collective based in New York City. Epiphanio Alexander is a contemporary painter, writer, and musician based in Washington state, USA. Erika King is a Miami based artist known for her corporate, commemorative, sports and celebrity collages. Emily Rainbow Davis makes theatre, fiction, music, blogs and podcasts. Félix Rodríguez Gutiérrez is a multilingual creative writer and photographer currently living in Milwaukee, Wisconsin. Frank R. Sofo is a fine artist and children's book illustrator living in East Hampton, NY. George Richardson is a photographer and multimedia artist originally from Albuquerque, New Mexico. Gladys Jimenez is a fine artist based in Escondido, CA. Howard Pflanzer is an award winning playwright, poet and performance artist based in New York. Jackson Clawson is in a band called Pumpkin Bread and is based in Boston, MA. Jodi Ferrier is a painter living and working in Washington D.C.
Jouanne Roberson is a fine artist based in Sacramento, CA. Jerry Hardesty is a visual artist based in Salt Lake City, Utah. Jackie Hoopz is an actor, writers, model based in Los Angeles. Jimena Munoz is a visual artist from Mexico currently living in Nelson, New Zealand. Janaka Stucky is an American poet, performer, and publisher based in Boston. Kathleen Faulkner is a jewelry artist and painter living in Cascadia, along the Salish Sea in the northwest corner of Washington State. Kathleen Frazier is an author, actress, sleep activist, and Reiki master based in New York City. Kirsty Little is an aerialist and sculptor living in Washington D.C.
Karen Johnson is a painter based in Iowa. Lauren Denitzio is an interdisciplinary artist and musician whose work examines the visual representation of women, gender non-conforming, and queer folks in domestic space. They are based in Philadelphia. Leslie Holt is a painter currently based in Mt. Rainier, MD. Liz LaManche creates large-scale works that enliven the built environment and is based in Boston, MA. Laurent Pelletier-Neault makes analog collages and is based in Canada. Lukas Huerta is a photographer based in San Diego,CA. Marion Webber is a fine artist based in Vancouver, BC. Michelle Bonneau is an aspiring freelance graphic designer & visual artist based in Warwick, Rhode Island. Meryl Pardoen is a textile designer. Margot Terc is a zine-maker, writer, and visual artist obsessed with projects and creative resistance based in Bronx, NY. Mina Teslaru is a Brooklyn-based photographer. Michael Lewy is an artist who works in a variety of media including photography, video and computer graphics and is based in Jamaica Plain, MA. Neil Martin is Kirtan leader based in Los Angeles, CA. Nikki May is an artist and designer from Paducah, Kentucky. Phillip Brady is a poet, writer, and publisher based in New York. Primordial Dance is a participatory performance initiated by D.E. Franklin. Robert Mankowski is an illustrator, fine artist, designer, and tattooer. He is based in Rahway, NJ. Sandra Yuen MacKay is a visual artist and writer from Vancouver BC, Canada. Sean T. Kelley is a musician and sound engineer. Sue Latta is a mixed-media sculptor based in Idaho. Scotis Tanigawa is a graphics designer. Terry Erickson Brown is a visual artist based in Eugene, Oregon. Teresa Martinez makes unique handmade steampunk jewelry and is based in the Denver area. Tathy Yagizi is a performance artist based in Sao Paulo, Brazil. Wade H. Williams is a painter based in Durham, North Carolina. We hope you enjoyed this article! If you did, click here to jump on our mailing list and be the first to know when we release new content. You'll also instantly receive our free guide that helps you to build emotional and financial sustainability as an artist.